This spacious and beautifully presented ground level unit is in a cracking location that is both central and convenient and offers great buying for owners and investors. This oversized unit has similar floor area to a townhouse with three good-sized bedrooms all with storage, however a renovation has created a fourth bedroom - this has made the property a very popular rental, delivering a healthy return to the current owners. It has also been freshly painted internally and has new floor coverings. The Master bedroom has walk-through storage and an ensuite bathroom, while the other bedrooms share the main bathroom, which also conveniently contains laundry facilities. The kitchen has been updated and it is large, with plenty of bench space, loads of storage and a servery window to the lounge. Sliding doors from the lounge room access a side terrace garden, allowing this property to enjoy the benefits of ground floor living. There is one secure car space with extra room for storage and low body corporate fees of $2510 per annum. The location is so convenient. It's a short walk to bustling Toowong Village shops and train station, where you can catch transport to UQ or the CBD. 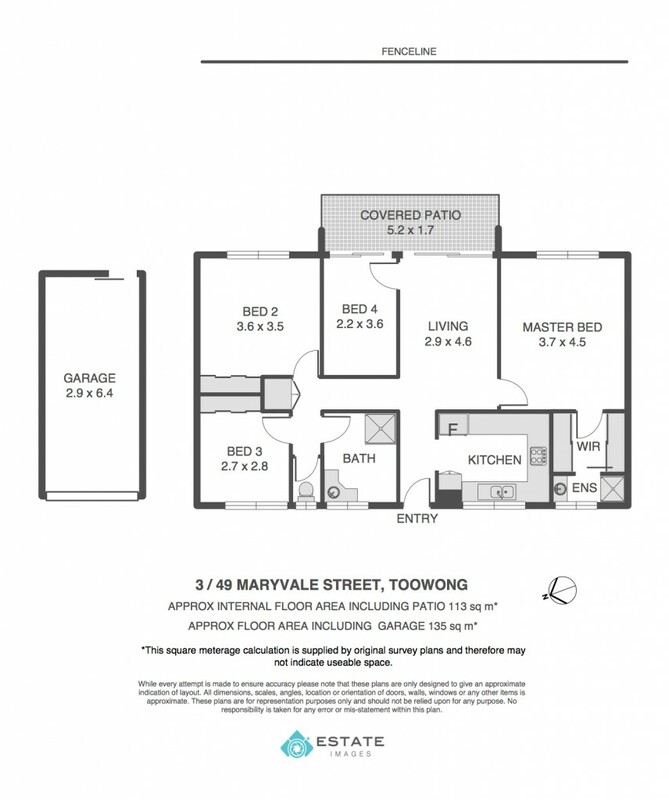 This apartment offers exceptional value in a popular and sought after inner city location.